You have already heard about this at least once but were you PREPARED for it? Survivalists and preppers will be far ahead of the rest of civilization when this happens in the very near future. 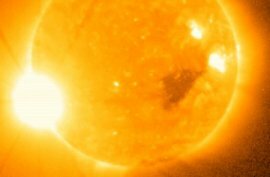 NASA Predicts Massive Solar Storm . “If our prediction is correct, Solar Cycle 24 will have a peak sunspot number of 90, the lowest of any cycle since 1928 when Solar Cycle 16 peaked at 78,” says panel chairman Doug Biesecker of the NOAA Space Weather Prediction Center. Above: A solar flare observed in Dec. 2006 by NOAA’s GOES-13 satellite. It is tempting to describe such a cycle as “weak” or “mild,” but that could give the wrong impression. The 1859 storm–known as the “Carrington Event” after astronomer Richard Carrington who witnessed the instigating solar flare–electrified transmission cables, set fires in telegraph offices, and produced Northern Lights so bright that people could read newspapers by their red and green glow. A recent report by the National Academy of Sciences found that if a similar storm occurred today, it could cause $1 to 2 trillion in damages to society’s high-tech infrastructure and require four to ten years for complete recovery. For comparison, Hurricane Katrina caused “only” $80 to 125 billion in damage. This is going to be a disaster to any and all communications as we know it, but there will be ways to cope. 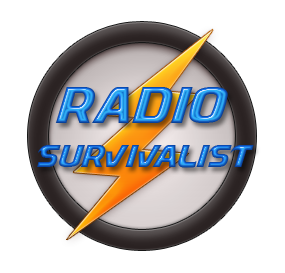 Preppers and survivalists have been getting ready for just such circumstances as these. Communications Equipment that can be protected from the storm. A network of people with like interests.